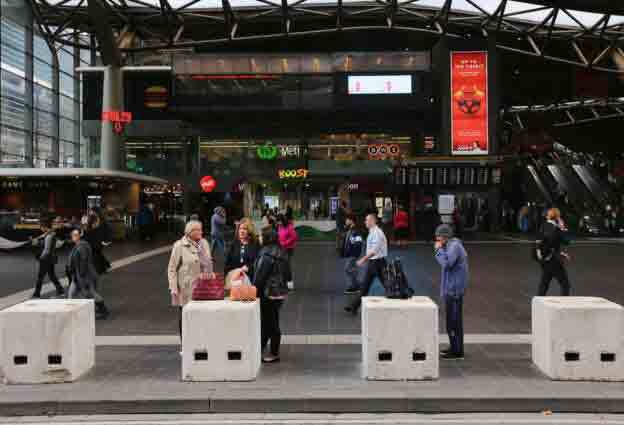 When authorities in Melbourne installed concrete blocks hoping to prevent vehicle-based attacks, some observers noted they looked a bit dull. 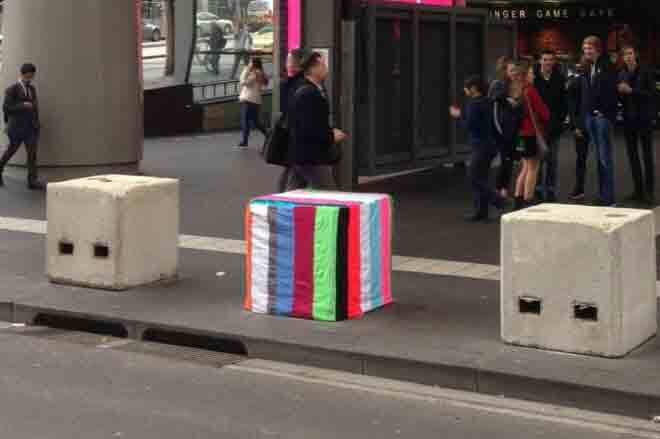 So locals in the Australian city began adding colour, covering the bollards with bright fabrics and paint. The effort, given the name "boll-art" on social media, even appears to have won over authorities. "It's really just a response to these massive concrete blocks," one bollard decorator, David Gray, told the BBC. "Melbourne is very drab right now and I have heard a lot of people say, 'that just made me smile'." The grey barricades have been appearing in more and more locations around Melbourne. The security measures were approved after six people died when a man drove a car into pedestrians in Bourke St in the city centre in January. Last month, after the London Bridge attack, Victorian Premier Daniel Andrews said there was "no time to be wasted" in installing the bollards. "We were not going to wait around for six months or 12 months while plant boxes are built so they look better," he said. "The threat of terror, the threat of hostile vehicle attacks, the threats to public safety are all too real." Mr Gray, who describes himself as a "lapsed artist", said he was not making light of any tragedies. "I have consciously not gone to Bourke St because I believe that is a scared site - even six months on, it is too raw," he said. Rather, he said he had been motivated by passersby complaining about the bollards' appearance, and concern they could turn into advertising space. Using his mother's sewing machine, the 54-year-old stitched together colourful patterns and placed them outside Southern Cross railway station. Some of the art has been removed, but the City of Melbourne tweeted: "We're not removing art from the bollards". On Tuesday, Mr Andrews described the artwork as "great". Melbourne Lord Mayor Robert Doyle tweeted that it was an example of when "good things happen". The barriers will ultimately be replaced by permanent bollards, but authorities have not said when that will happen.